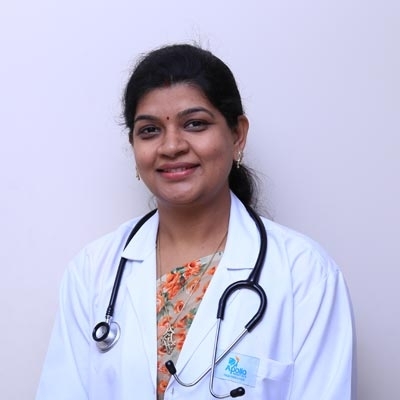 Dr. Rolika Keshri is a Gynaecologist and Obstetrician in Apollo Cradle, Kondapur, Hyderabad and has an experience of 8 years in these fields. She completed MBBS from University of Bhagalpur in 2005 and MS – Obstetrics & Gynaecology from Patna Medical College, Patna in 2009. We can’t thank you enough for your compassionate and fantastic care. I highly recommend Apollo Cradle for my friends for experiencing the real joy of birthing. I am impressed by the care provided by my Dr. Rolika Keshari. I am so happy and will be thankful to Dr. Rolika. She is my favorite; her attitude was awesome. I love her for the compassionate care and love she provides to her patients. Thanks Apollo Cradle. Dr. Rolika and other team members had given me the best care. I will always be thankful to Apollo Cradle. The highly recommended pregnancy care with the best expertise. I and my baby are safe and healthy. Cheers to the whole team. I was looking for the best healthcare facility for my delivery and that is when my best friend suggested that I try Apollo Cradle in Kothaguda. The staff is friendly and take care of even the smallest details. The housekeeping staff is amazing, they maintain the premises and keep it clean. My doctor, Dr Rolika Keshri was simply wonderful and the room was also good. I’d recommend Apollo Cradle to any woman looking for a relaxed and focused birthing experience. Since Apollo is a well-known name, I visited Apollo Cradle in Kothaguda for my delivery. I was under the care of Dr Rolika Keshri, who was one of the best doctors I have ever encountered. The nurses take good care of you and the hospital staff is really good. The single deluxe room is very nice and has a television for entertainment. In conclusion, everything was perfect. After having my delivery done here, I believe I can trust Apollo Cradle, Kondapur for my future treatments as well. I had a good experience here as the staff is very caring and courteous. They catered to all my needs and made sure I face no inconvenience. Dr Rolika is very caring and supportive. The atmosphere is very positive and homely. I’d surely recommend it to friends and family. I chose Apollo Cradle, Kondapur for my delivery under the care of Dr Rolika Keshri. The doctor is very knowledgeable and professional. The staff is equally skilled and ensured our comfort. We picked a Deluxe single room which had all the facilities as mentioned in the package. My overall experience here was great! My experience at Apollo Cradle, Kondapur was fabulous. I faced no issues or troubles during the admission. The front office staff is soft-spoken. I was under the care of Dr Rolika, who is very skilled and kind. The nursing and housekeeping staff took complete care of all needs during my stay here and made sure I felt at ease. Good work, Apollo! Apollo Cradle, Kondapur offers an excellent environment. I came here for my delivery and found the staff to be extremely hospitable. All our needs were catered to with utmost respect and care. Dr Rolika Keshri is efficient and attended to us throughout the recovery. The property has a great infrastructure and cleanliness is ensured. I\’d surely recommend Apollo to my friends and family.